M-OEE8 system, Tribute region. On the 28th of March at 20:00 EVE Standard Time, the largest offensive in the war was launched by allied forces, leading to a 4 hour long battle which saw no less than 5,000 combatants for both sides clash in desperate fights throughout the 1P-VL2 constellation. The battle was fought over the infrastructure hub of the system, which the allies managed to reinforce alongside the station. For the Imperium, to lose it would mean making the system far more vulnerable for allied assault, allowing them to capture it with greater ease while also severing it from the Imperium’s jump bridge network. In the long run, it would allow the allies to gain a foothold in the Tribute region as well as signal the loss of another capital staging system. For the allies, victory here would mean getting one step closer to the gates of Deklein and the heart of Imperium rule. Thus, both sides rallied their banners, with every available asset put on the line and every pilot ordered to prepare for what would become the bloodiest and most destructive battle of the war so far. In preparation for the battle, allied command assembled a large fleet to hit towers in the 1P-VL2 constellation before the server’s scheduled maintenance. Knowing that Imperium forces would be unable to form, allied fleets, including a sizeable dreadnought force, took advantage of this fact and knocked out all of the cynosural jammers in the constellation. With the cynosural jammers incapacitated, the entire constellation was wide open to attack, something the allied commanders would later use to their advantage during the assault. As the infrastructure hub timer was slowly running out, allied fleets started assembling in the Hakonen system of the Lonetrek region, merely 2 jumps from M-OEE8. Fleets streamed in from as far as Cobalt Edge, as every member of the allies sent forces to participate in the offense. As the timer drew near, allied numbers in the system swelled, as their forces already stationed in the region started forming as well, with more pilots arriving by the minute. By the time the allies departed, more than 2,100 pilots had gathered in the system in anticipation for the night’s assault. Allied command itself was quite astounded by the pilot turn out, as whole fleets were fully staffed in mere minutes, forcing many alliances and coalitions to form secondary fleets in order to accommodate all the pilots. The fleets present included, but were not limited to: a Rattlesnake battleship fleet, a Maelstrom battleship fleet, 3 Proteus strategic cruiser fleets, 3 Cerberus heavy assault cruiser fleets, a Tengu strategic cruiser fleet and a Cormorant destroyer fleet. Also in attendance were a host of stealth bomber wings and several skirmish fleets, containing mainly interceptors, interdictors and tactical destroyers. A super capital fleet was also prepared and brought into position to jump in to the fight should Imperium forces choose to escalate matters further, especially due to the number of triage carriers the allies had prepared in advance. Even though allied command highly doubted the Imperium would escalate that far, the fleet was prepared as an added measure. The Imperium itself was not idle either and continued to bring reinforcements to the system. Having to form earlier than the allies for the station timer as well, Imperium forces poured into the M-OEE8 system. 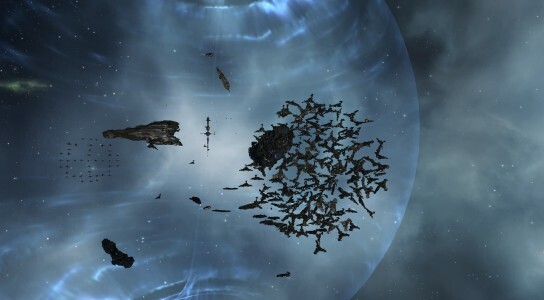 The Imperium was able to gather 1,200 pilots, with a Machariel battleship fleet and 2 Proteus fleets already present with a second Machariel fleet held in reserve. Two Hurricane battlecruiser fleets would later arrive to reinforce the defenders during the battle. Several stealth bomber squadrons were also prepared, and the Imperium busied itself with securing the station before setting up on the Taisy gate in the system, the allies most likely point of entry. With the Machariel fleet and two Proteus fleets setting up on the gate and covering it with mobile warp disruptors to trap the allied fleets upon entry, both sides were left waiting, as the tension grew in each fleet. As the timer neared expiration and the infrastructure hub command nodes were set to de-cloak, allied forces undocked from their respective stations, warping to titans which were prepared in advance. Fleet after fleet got into position, setting up on the behemoths and waiting for the call. Interceptors and covert ops ships which were left in the designated system of FY0W-N and equipped with cynosural beacons were given the order to join the different fleets and light their beacons on perches around the M-OEE8 gate. With the beacons active, titan after titan was given the order to activate its jump portal generator, allowing allied forces to bridge directly into the system, thus bypassing the Imperium blockade. One after the other, allied fleets jumped through and landed on the gate grid, quickly regrouping before setting up their own blockade on the gate. 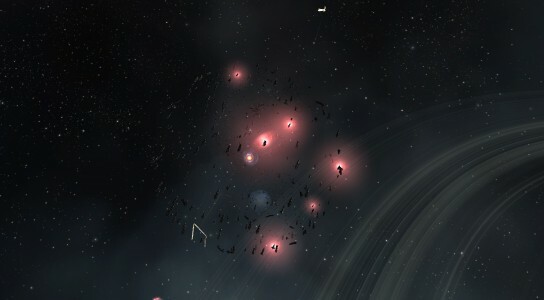 This took Imperium forces by surprise, as their scouts reported the massive armada pouring into the FY0W-N system. With the allies setting up on the M-OEE8 gate in the system, the roles had effectively reversed and it was the Imperium that was forced to act. However, choosing wisely not to engage the allies head on, the Imperium instead decided to move its forces to the adjacent J-GAMP system. The allies swiftly responded and moved to intercept, both forces colliding in the J-GAMP system on the M-OEE8 gate. As Imperium forces set up on the M-OEE8 gate in the J-GAMP system, allied forces jumped in from the FY0W-N system and warped to the M-OEE8 gate, the different fleets landing at varying distances, though all fleets maintained a long distance from the Imperium force. Once both sides had anchored up on the gate, the opposing fleets opened fire, starting the fight. The battle proved to be a bloody affair. With the allies bringing the entirety of their armada to bear on the 3 assembled Imperium fleets, the Imperium could do little to tank the incoming damage. Imperium ships were obliterated as the slew of allied fleets continuously hammered them, Imperium logistics wing completely ignored as the combined firepower possessed by the allies was enough to overwhelm the tank of the Imperium mainline ships. The death toll continued to climb as allied fleets spread across the grid, getting in optimal range of their weapon systems in order to hit for maximum damage. One by one battleships and strategic cruisers caved in to the remorseless barrages as the allies poured an unbelievable amount of damage on their hulls. The Imperium attempted to return fire, focusing on enemy logistics wings and managing to inflict some damage. However for the most part the battle proved one sided. As the battle progressed, bomber wings for both sides started to make their presence felt on the field. Allied bombers scored a big victory when they managed to annihilate a reinforcing Imperium Hurricane fleet, catching it as it landed on the J-GAMP in the M-OEE8 system attempting to jump in. 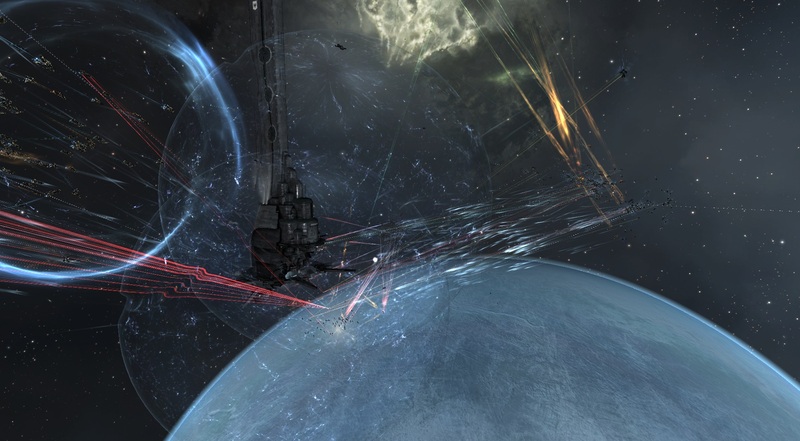 Wave after wave of bombs hit the battlecruisers who were still coming out of warp and unable to activate the gate. By the third wave the entire fleet was obliterated, its wrecks cluttering the gate. Imperium stealth bombers managed to inflict some damage, but on the whole were unable to match allied bomber wings in size or success, serving mostly as harassment. However, Imperium skirmishing wings were able to inflict some damage, often utilizing command destroyers to separate allied ships from the main force and destroy them. Even so, their overall effect proved to be negligible, as allied numbers were far too great. By this point the main force of the Imperium was spent, the 3 fleets were in tatters, especially as one of the strategic cruisers fleets warped into the main body of allied battleships, finding itself face to face with the Rattlesnakes. This turned out to be a grave mistake, as their heavy neutralizers simply drained the strategic cruisers’ capacitor, leaving them dry. Thus, armor hardeners switched off as micro warp drives shut down, leaving them sitting ducks for allied forces to dispatch with ease. Another factor in the fighting was the attempt of Imperium forces to remove allied fleet commanders from the field. However, with the abundance of fleet commanders present, this strategy failed, even backfiring as in revenge allied forces did the same, leaving the Imperium fleets leaderless which only made their situation worse. While the allies committed their entire force to the battle, the Imperium had kept a Machariel fleet in reserve. As allied attention was focused on the battle raging in the J-GAMP system, the second Imperium Machariel fleet had free reign to roam the constellation, interrupting allied entosis operations and securing command nodes for the Imperium. Once the allies realized their mistake, they took two major steps to rectify the situation. One was to drop several triage carriers across the constellation to carry entosis operations. Though receiving a large penalty to the duration of the entosis link cycle, a triage carrier possesses a large tank, able to soak and repair an inordinate amount of firepower with relative ease. With the carriers starting to capture nodes in the constellation, allies hoped they would be able to fare better under the artillery fire, at least long enough for allied fleets to respond. The second step the allies took to counter the Imperium was to withdraw several of their fleets from the fighting. With the main Imperium force broken, allied fleets re-positioned themselves, the majority of them pulling out of the fight and spreading across the constellation. With allied fleets patrolling the different nodes across the constellation’s systems, the last remaining Machariel fleet found itself quickly chased out, unable to effect entosis operations anymore. While allied fleets spread across the constellation, performing mop up operations or securing command nodes, the Imperium’s last Machariel fleet continued its attempts to disrupt allied entosis operations. However, with allied fleets guarding many of the nodes and others roaming around, the Machariel fleet often found itself forced to withdraw, sustaining losses as it did so. As numbers dwindled and allied fleets started to close in, the fleet was forced to make a stand in the FY0W-N system on the V0DF-2 gate. Setting up on the gate at medium range, the fleet was beset by 3 allied fleets, including 2 Cerberus fleets and a Tengu fleet. The allied force jumped into the waiting Machariels and both sides opened fire, continuing the battle for the constellation. The exchange once again went badly for the Imperium. Able to volley a few mainline ships at the start, as the allied fleets anchored up and kited around the slower moving battleships, their artillery cannons were unable to track properly and the allied fleets simply glanced off the incoming damage. 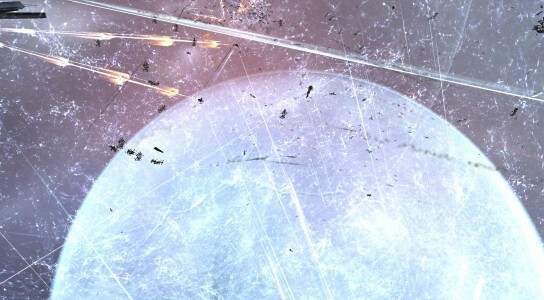 Reports of communications breakdown in the Imperium fleet only served to make matters worse, causing the fleet to spread their fire and not focus on a single target, which allowed the allies to easily tank the incoming fire. By now the fleet had been trapped by allied interdictors which covered it in a thick blanket of warp disruptor probes, thus making it impossible for it to retreat. Forced to fight a losing battle on the gate, the Imperium fleet continued to fire but was unable to do much. Pinned on the gate, it was forced to endure the overwhelming firepower poured onto it by the increasing allied numbers as other fleets converged on the system, joining the fight and hastening its end. As mainline ships evaporated in greater numbers, so too did the logistics wing of the fleet, which proved powerless throughout the fight, even with triage carrier reinforcements. Imperium bomber wings attempted to extricate the force, trying to clear the thick cover of warp disruptor probes and force off allied fleets but to no avail. In rapid succession the remnants of the fleet were destroyed, signaling the end of the last major Imperium fleet in the constellation. With its destruction, the allies were able to continue entosis operations unhindered throughout the constellation. At the same time, allied fleets blockaded the M-OEE8 station, forcing an Imperium Hurricane fleet to take refuge inside, as allied forces had been chasing it as it attempted to interfere with entosis operations as well. An allied Proteus fleet set up on the undock ramp of the station, heavy interdictors maintaining their warp disruption fields up to stop any attempt to escape. As the Imperium Machariel fleet was destroyed, the remnants of Imperium forces trapped in the station made an attempt to break through, taking advantage of allied attention diverted to the FY0W-N system. 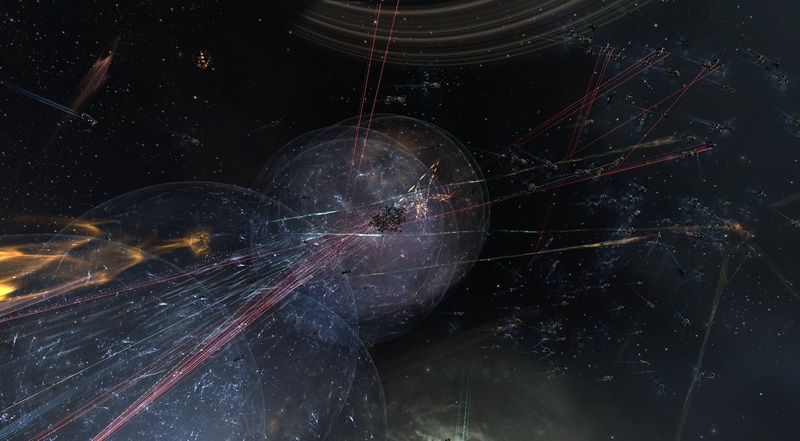 Re-organizing their forces, the Imperium managed to hastily form another Proteus fleet, undocking it in order to engage the allied forces and break through the siege. The two sides quickly exchanged fire on the station, the Imperium fleet finding itself tackled and unable to advance. The two sides kept fighting, with allied forces able to tank the incoming damage while inflicting losses on the Imperium fleet, its strategic cruisers unable to tank the incoming fire. As other allied fleets finished mopping up and started pouring into the system, things only got worse for the Imperium. More allied fleets entered the system, warping to the station and reinforcing the already dangerous Proteus fleet, bringing even greater firepower to bear on the outnumbered and outgunned defenders. Facing mounting casualties, unable to break away from the undock ramp and with allied forces only increasing, there was nothing the Imperium Proteus fleet could do. Orders were given to cease fire and attempt to dock up again while the allies used the opportunity to volley as many of the strategic cruisers as they could before they docked again. With the last Imperium fleet once again camped into the station, allied forces had full control of the constellation, and their entosis operations continued uninterrupted. While a few allied fleets continued to patrol the area and control certain key systems, the bulk of the allied force rested in the M-OEE8 system, maintaining the blockade. 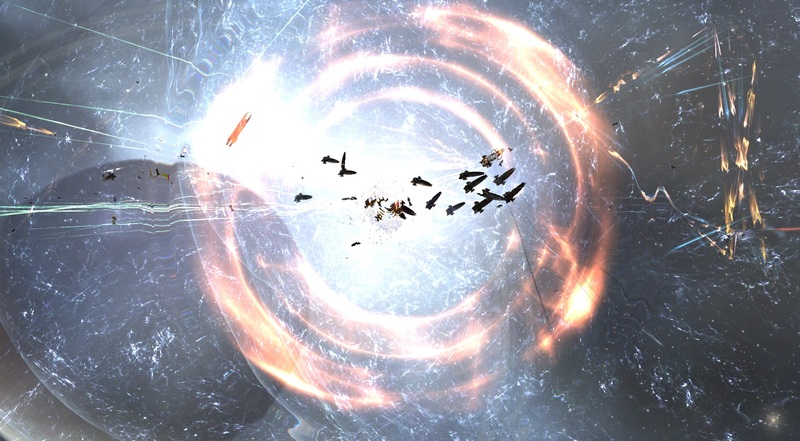 As allied fleets continued to hold their positions in the system as entosis squadrons captured more command nodes, a shocking announcement was made by Circle-Of-Two [CO2]’s leadership and given live to the allied troops assembled: The alliance was to leave the Imperium and reset standings with all entities there, thus breaking out on its own. The full announcement can be found here. In summary though, Circle-Of-Two leadership accused the Imperium high command of breaking the coalition’s own rules, mistreating allied alliances and even threatening Circle-Of-Two with expulsion. The final nail that cemented Circle-Of-Two’s leadership’s decision though, was the order to abandon the Vale of the Silent region without a fight. Circle-Of-Two and resident alliances in the region had planned an extensive defense of the area, but Imperium high command ignored it, instead calling Get Off My Lawn [LAWN] and The Bastion [BASTN] to retreat while telling Circle-Of-Two to stand their ground against the entirety of the allied forces, all of this without even informing Circle-Of-Two’s leadership. Enraged, betrayed and having endured many insults, this proved the last straw for the alliance. After months of negotiations with the allies and refusing all offers to defect, Circle-Of-Two finally made the decision to leave, rather than fight for the Imperium. The battle for the infrastructure hub of the M-OEE8 system being the last time Circle-Of-Two would fight under the banner of the Imperium. While the message was received poorly in the Imperium, with wild allegations and slander hurled at Circle-Of-Two’s command by the Imperium’s own leader, The Mittani, the allies rejoiced, many congratulating the alliance for finally standing on its own. The announcement proved shocking to all Imperium members, not least to those that were now trapped in the M-OEE8 station. The station still hosted an Imperium Hurricane fleet which came to reinforce the defenders but found itself driven inside by allied forces. Realizing the station it was hiding in was about to become hostile and not wishing to remain trapped within it, the Imperium fleet commander made the decision for the fleet to undock and fight its way out. By this time though, allied operations were able to secure the timer, destroying the infrastructure hub and replacing it with one of its own, cementing their victory. Whats more, with the strategic victory secured, allied fleets started congregating in the system, joining the station blockade. The Hurricane fleet was flying into certain death. The exchange that resulted was a one sided massacre, with the entire Hurricane fleet going down. The battlecruisers attempted to open fire on allied tackle, targeting interdictors and command destroyers, but were unable to inflict much damage before the allied fleets obliterated them all. Allied commanders simply gave the order for their fleets to free fire, as enemy vessels were volleyed faster than they could call them. 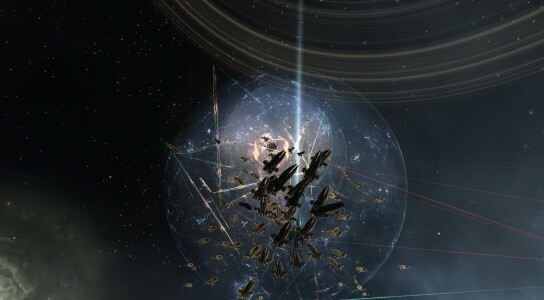 With this, the last Imperium fleet met its demise, signalling a complete allied victory. During the battle, as Imperium high command had its attention fixed squarely on the M-OEE8 system, allied forces sent auxiliaries to continue their push into Imperium territory. Allied forces raided the Fade and Pure Blind regions, reinforcing every available piece of infrastructure while forcing local defenders to remain docked with a Proteus fleet. By the time the battle was over, most of the Fade and Pure Blind systems were reinforced, further putting pressure on local Imperium defenders. The fight raged for no less than 4 hours, with both allies and Imperium forces constantly re-shipping and bringing reinforcements, making an accurate tally of combatants nearly impossible. The main fight in the J-GAMP system saw according to CCP Games 3,436 pilots engage in battle, though eye witnesses claim the number to be even higher, with EVE News 24 personnel recording 3,494 pilots in the system at one point. Time Dilation remained a constant 10% throughout the fights, with pilots complaining about random disconnects, unresponsive modules and lag, with instances of different grids taking upwards of a minute or two to load. 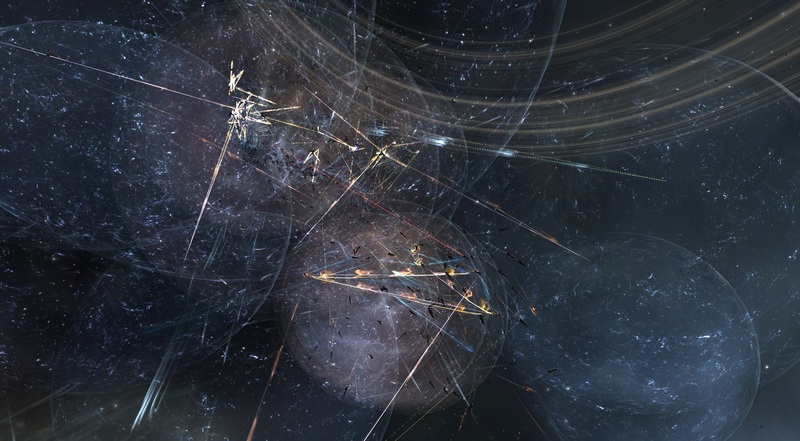 The Imperium lost 1,009 ships in the fight, including but not limited to: 2 carriers, 182 battleships, 167 battlecruisers and 131 strategic cruisers, for a grand total of 326.44 billion ISK damage. Allied forces suffered 1,286 ship losses, including but not limited to: 2 carriers, 59 battleships, 39 strategic cruisers, 62 heavy assault cruisers and 146 destroyers, reaching 135.57 billion ISK damage. Battle report for the 1P-VL2 constellation can be found here. With the battle of M-OEE8 won and Circle-Of-Two switching sides, the Imperium suffered another crushing defeat. The loss of Circle-Of-Two represents up to a quarter of all the coalition’s active combat pilots, a devastating blow, especially considering Circle-Of-Two’s pilots’ experience and combat abilities were ranked the highest in the Imperium. Another loss is Circle-Of-Two’s fleet commanders alongside its super capital fleet, which are all certain to effect the Imperium’s ability to wage war. Strategically, this marks a huge gain for the allies, as the southern part of the Tribute region has been opened up to their fleet’s movements and basing, giving greater penetration to allied forces into the heart of Imperium territory, not to mention gaining more pilots and fleet commanders to carry offensive operations. The question is, how will the Imperium respond, now that its gates have been breached by allied forces? EVE News 24 will continue to run updates on the war as it unfolds. iCOisz Looking forward to reading more. Great article.Really thank you! Want more. Usually I do not learn article on blogs, but I wish to say that this write-up very compelled me to try and do it! Your writing taste has been surprised me. Thanks, very great article. Thanks for another informative blog. The place else may just I get that type of information written in such an ideal means? I’ve a project that I’m simply now running on, and I’ve been at the glance out for such information. Hello! I know this is kinda off topic however , I’d figured I’d ask. Would you be interested in trading links or maybe guest writing a blog article or vice-versa? My website covers a lot of the same subjects as yours and I feel we could greatly benefit from each other. If you are interested feel free to shoot me an e-mail. I look forward to hearing from you! Terrific blog by the way! Do you have a spam issue on this site; I also am a blogger, and I was wondering your situation; many of us have developed some nice procedures and we are looking to trade strategies with others, please shoot me an e-mail if interested. With havin so much content do you ever run into any problems of plagorism or copyright infringement? My blog has a lot of exclusive content I’ve either created myself or outsourced but it seems a lot of it is popping it up all over the internet without my agreement. Do you know any techniques to help protect against content from being ripped off? I’d certainly appreciate it. 8zMlUb I reckon something genuinely special in this internet site.